There’s nothing like watching a movie with great sound in the comfort of your own home. A gorgeous flat screen TV with very weak 10 watt speakers built-in to it does not do its justice. 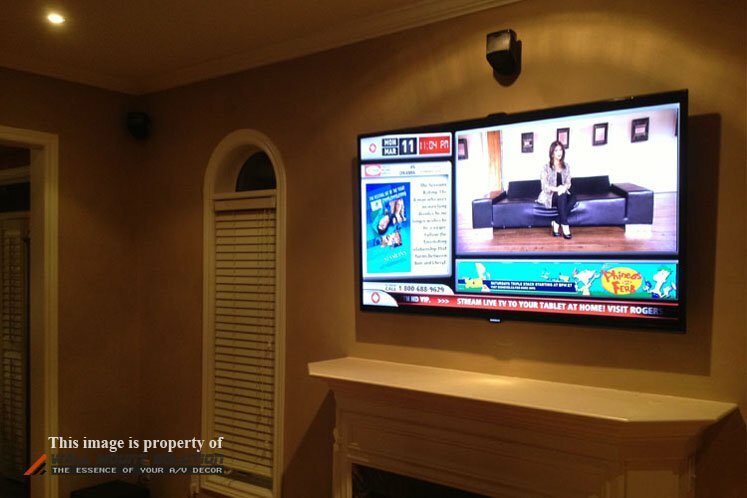 By adding a home theater system along with your large flat screen TV or projector will truly bring the cinematic effect and can change the movie watching experience entirely. 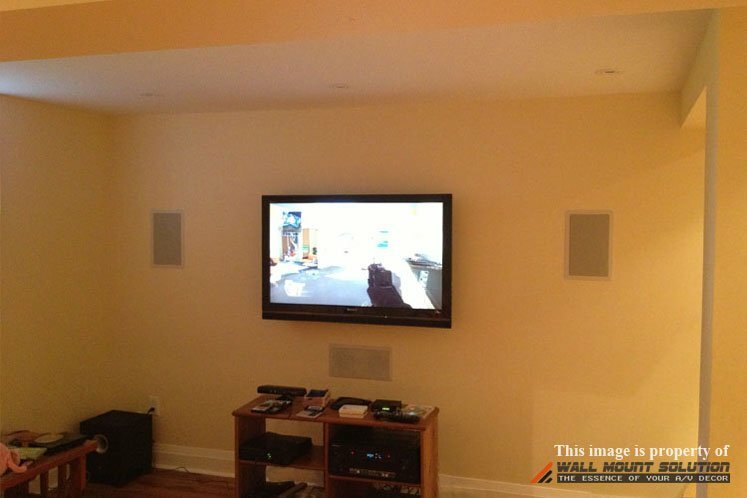 See photos below to get some ideas of how your home can be setup with a home theater system. 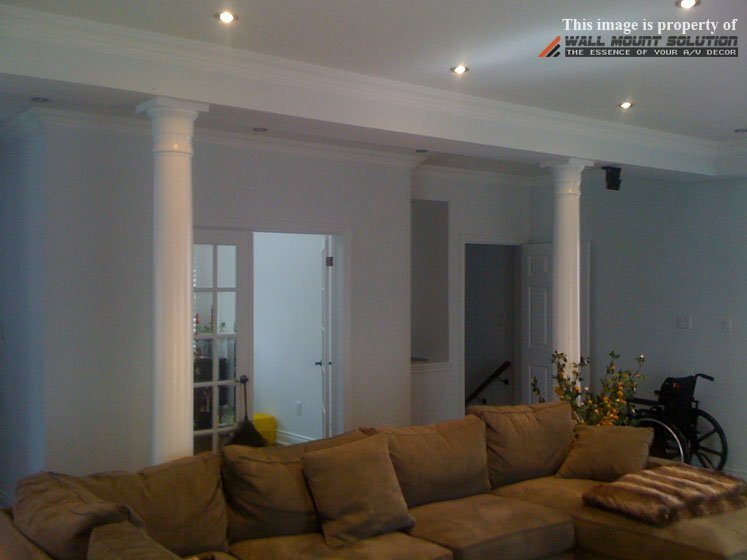 Figure 1-1 ~ 1-3 below shows Bose 5.1 channel speakers installed in a house on the main floor. Speakers are evenly spaced apart across the room to achieve the best surround sound experience. Speaker wires were fished down to the unfinished basement to go horizontally across and fished them back up to where each Satellite speaker is mounted. Figure 1-2 shows the rear left satellite speaker. 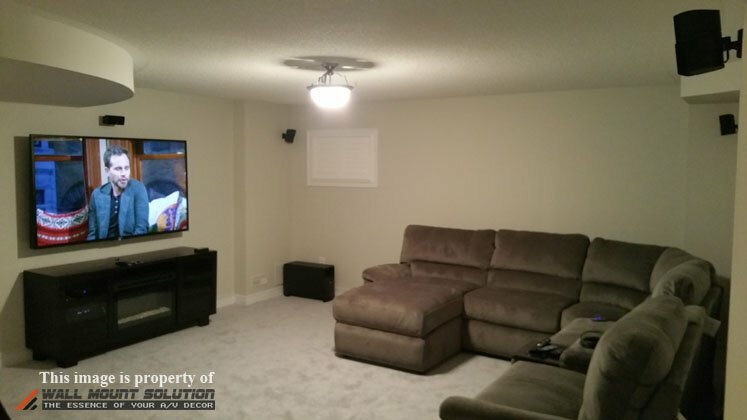 The speaker wire was fished from the main floor by where the sub-woofer is located to the basement, then fished back up to another wall where it meets a bulkhead by the ceiling and fished it through the bulk head to where the rear left surround speaker is mounted to the ceiling. 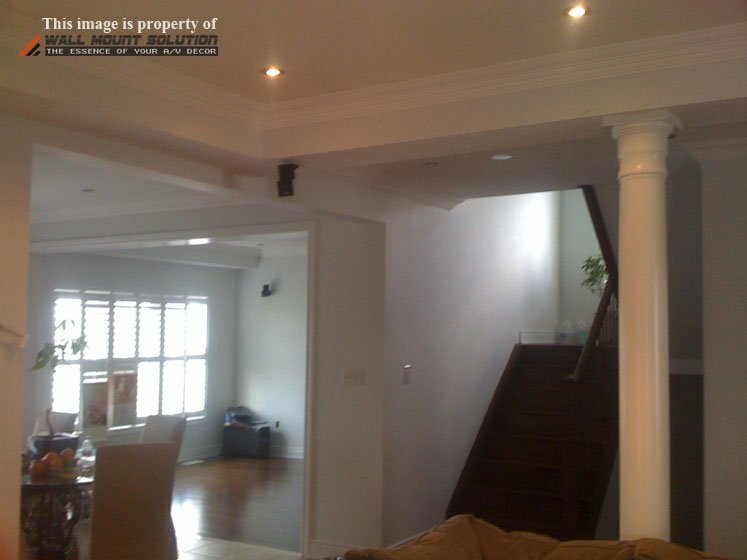 Figure 1-3 shows the rear right satellite speaker mounted into the bulkhead in the ceiling. The speaker wire was fished the same way as mentioned in Figure 1-2. 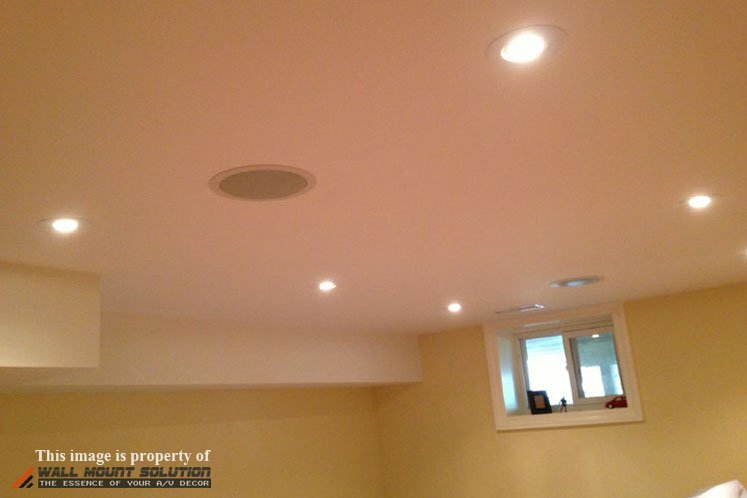 Figure 2-1 below shows another Bose 5.1 channel speaker system installed. Wires are fished through the basement and fished back up to the main floor to each satellite speaker. Similar installation to the Figure 1 above. 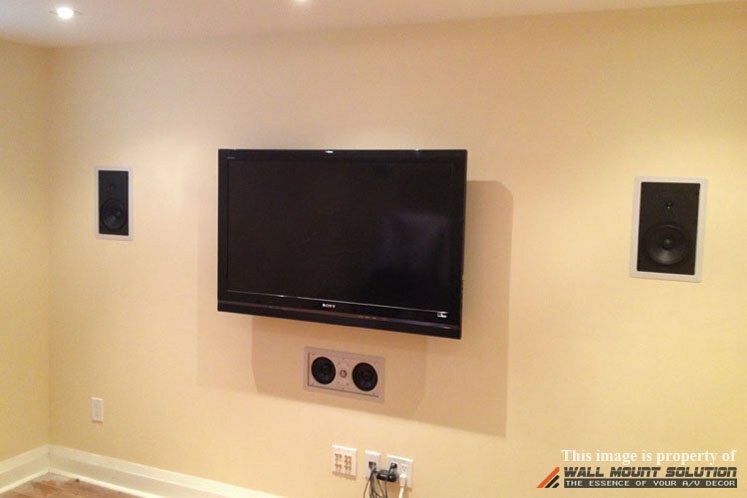 Figure 2-2 shows the rear right surround speaker mounted on the wall. Figure 2-3 shows the rear left surround speaker mounted on the wall. 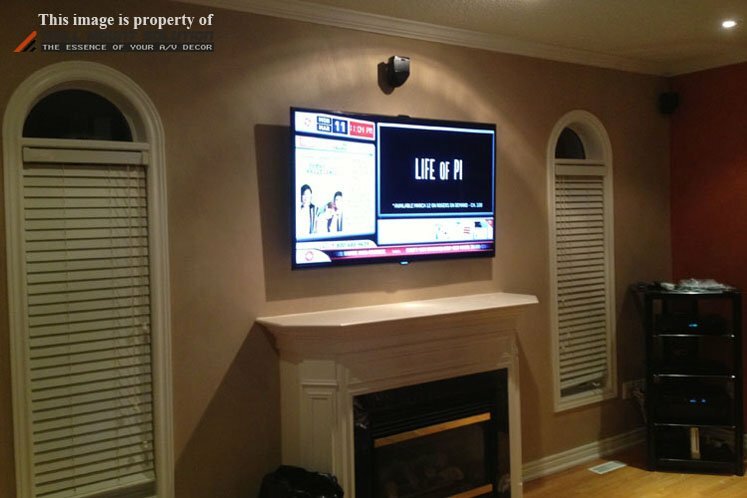 Figure 3-1 shows a 60″ TV mounted over fireplace. 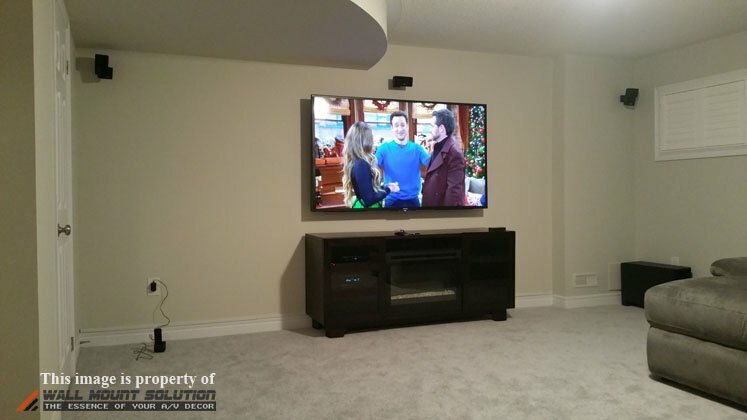 5.1 channel Mirage NanoSat speakers are installed along with Yamaha AV receiver. All the cables are fished down to the unfinished basement and fished back up to where all the components are setup in the corner of the room with a tall component stand. Figure 3-2 shows the front left view. Figure 3-3 shows the rear left channel speaker mounted on the wall. Figure 3-4 is the rear right channel speaker mounted on the wall. Figure 3-5 shows the sub-woofer sitting in the corner of the room to deflect the bass off of 2 walls. Figure 3-6 shows the custom wall plates installed where the components will be placed. 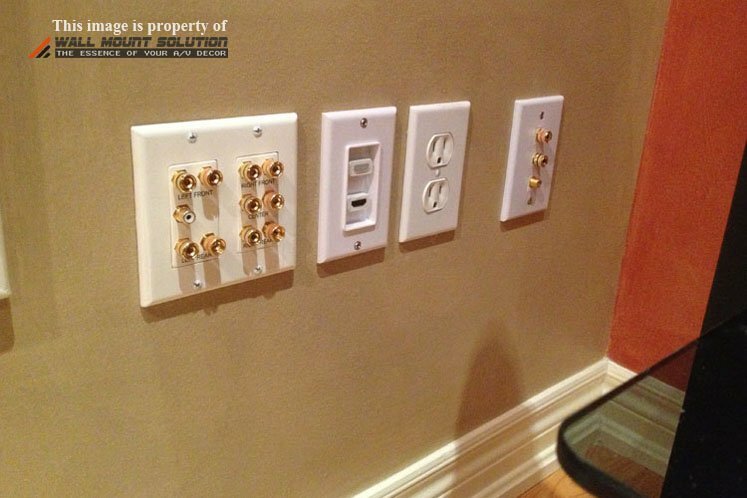 There’s 5.1 channel Banana Plug wall plate with RCA sub-woofer connection, 2 port HDMI wall plate and pair Single speaker Banana Plug wall plate with coax keystone jack installed. Figure 3-7 shows all the wires connected to the wall plates. 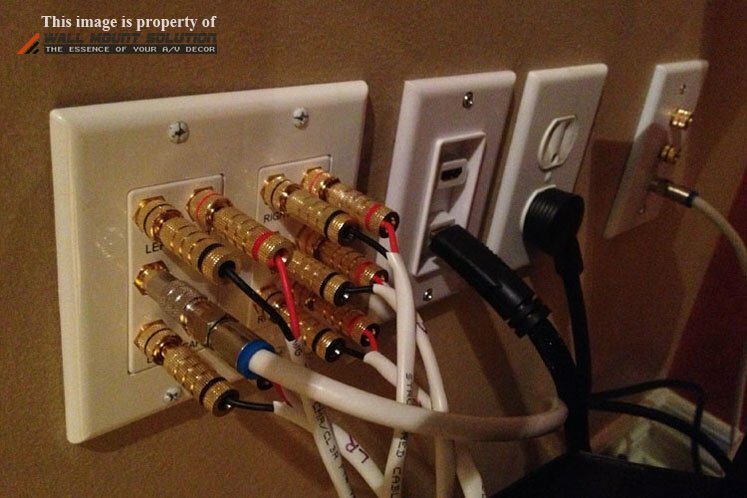 Speaker wires are terminated into Banana plugs and installed into the banana plug wall plate. 3ft 24AWG HDMI cable is connected from the AV receiver to the HDMI wall plate. 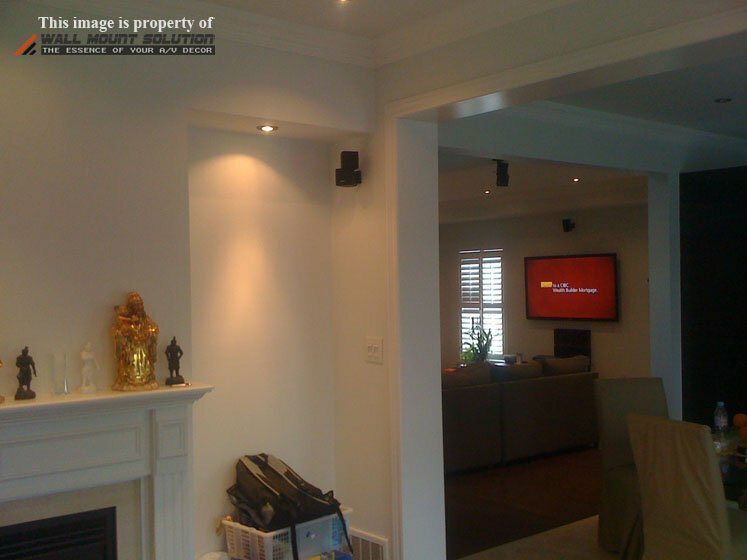 Figure 4-1 shows 5.1 channel home theater system installed in a basement of a house. The basement was pre-wired before the basement was finished. In-wall speakers installed for front left, center and front right. 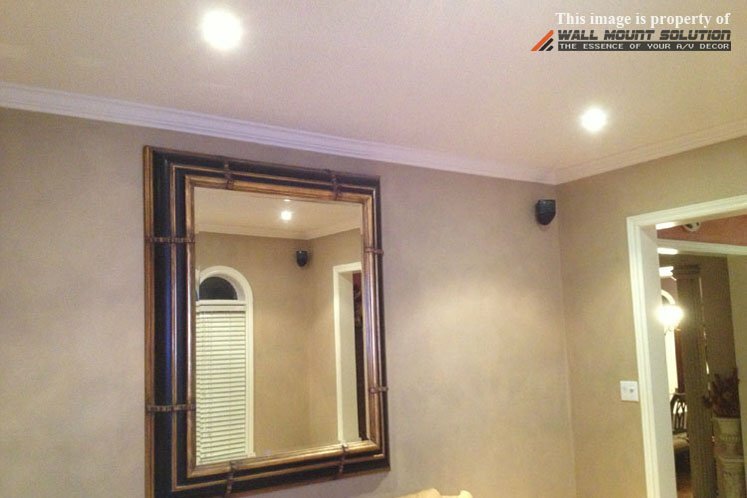 Studs were actually located in perfect spots inside the wall in order to have the in-wall speakers installed symmetrically across the wall. 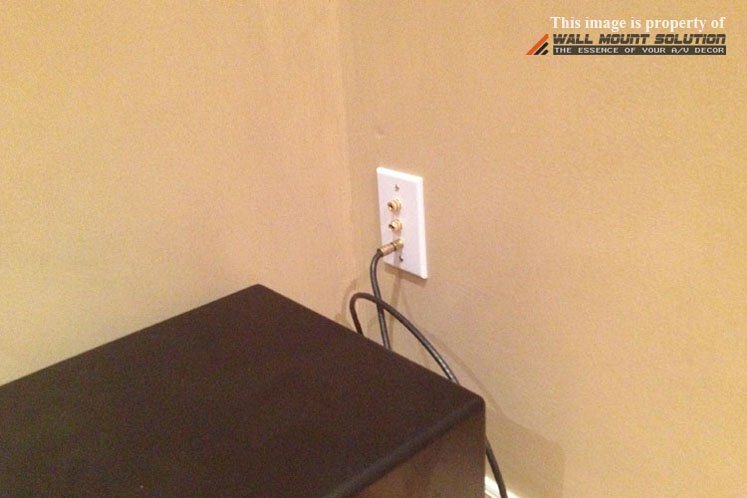 Figure 4-2 shows 5.1 channel Banana Plug wall plate installed for speaker wires. Other low-voltage wires are coming out of the recessed wall plate. 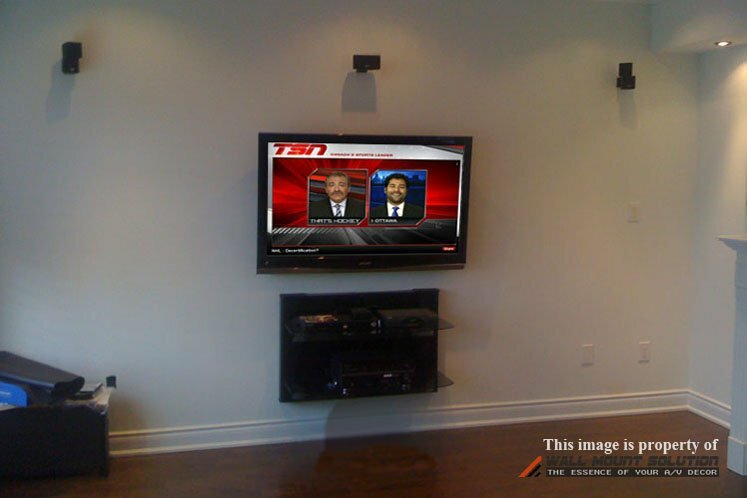 Figure 4-3 shows the finished setup of the front in-wall speakers, TV mounted above the center channel speaker and all components connected. Components are currently setup on a temporary stand. 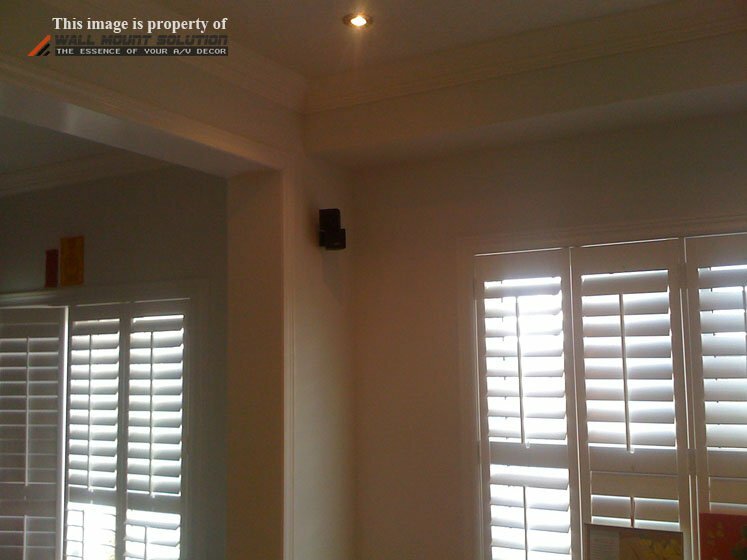 Figure 4-4 shows the rear left & right in-ceiling speakers. 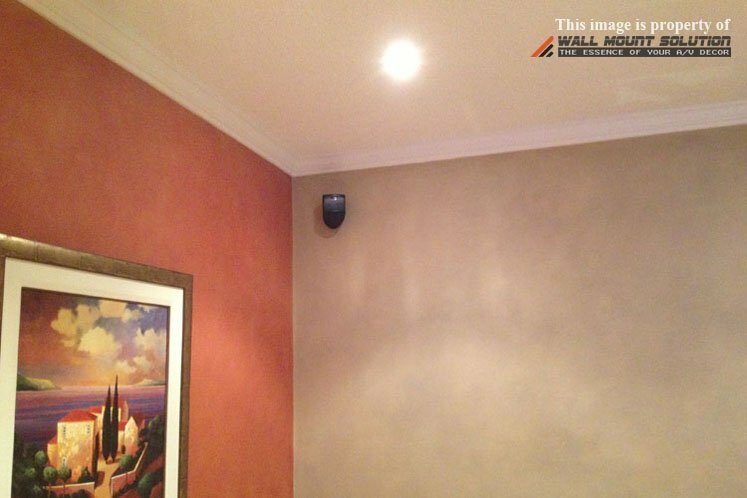 Figure 5-1 shows Bose 5.1 channel Acoustimass® 10 speaker system installed on the wall. 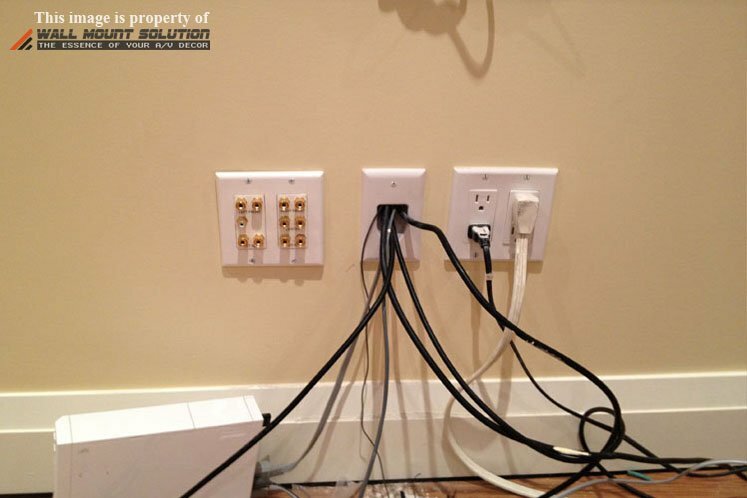 The speaker wires are running horizontally across the wall using wire raceway above the baseboard instead of going through the studs by cutting open the drywall. Speaker wires are fished up to each satellite speaker through the wall. Figure 5-2 shows the rear satellite speakers mounted on the back wall.